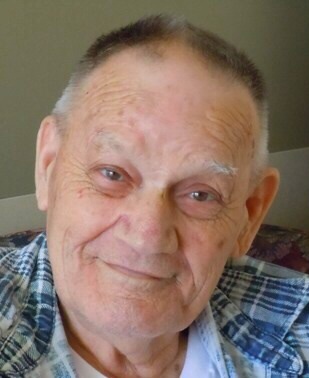 Paul Raymond Winkle, 80 of Richwood, died Tuesday, April 15, 2014 at the Gables at Green Pastures. He was born October 14, 1933 in Delaware County. On September 12, 1952 he married the former Martha Mae Mulligan and she died September 19, 2012. He was a member of the Community United Calvary Church in Richwood. A veteran of the U. S. Army serving during the Korean Conflict, he was a member of the American Legion. Paul was a truck driver for most of his life, retiring from Roadway Trucking after thirty-five years and five million accident-free miles. He loved going to baseball games at the Richwood Park, watching football and going to horse races, car races and demo derbies with his sons. Paul enjoyed spending time with his family, whether it was cookouts or taking car trips and vacations to visit with relatives and friends or going to river boats. He also enjoyed eating out at local restaurants with the church men’s group. He is survived by his children, Robin (Rhonda) Winkle, West Mansfield; Ramona Kay (Matthew) Johnson, Richwood; David Winkle, Richwood; Caroline (Jeff) Phiefer, Marysville; fifteen grandchildren, twenty-three great-grandchildren; a great-great-granddaughter; a brother, Richard Winkle, Richwood and his dog Zu-Zu. He was preceded in death by his parents, Robert and Glenna (Green) Stout; a sister, Margery Davis; a brother, Clifford Winkle; a step-brother, Robert Stout Jr. and a step-sister, Lucille Ledley. Funeral services will be Friday, April 18, 2014 at 2:00 PM at the Community United Calvary Church with Pastor David Hudson officiating and veteran’s services conducted by the Richwood Area Veterans. Burial will follow in Claibourne Cemetery. Friends may call two hours prior to the service at the church, beginning at noon. Memorial gifts may be made to the Northern Union County Fire and EMS Association, 602 North Franklin Street, Richwood, OH 43344. I can only imagine the reunion in Heaven this morning. Grandpa you will be missed! We love you! My thoughts & prayers go out to Paul's family. He has been a good neighbor for quite a few years. He was a funny man & always had a smile on his face. I will miss his friendly wave everyday, & his "watchful eye"! He will have a special place in my heart! He was a good man! Sending you all love and prayers. May God be with you all thru this. Christa, Iam so sorry for your loss. My prayers are with you. "Precious in the sight of the Lord is the death of his saints." ( Psalm 116:15). Sorry for your loss. Love and prayers.